A Life Insurance policy from an International Life company, provides a Financial safety net for your family and loved ones should either you or partner suffer loss of life. 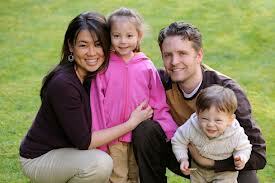 Expats with dependents, families, mortgages, etc , are those who should consider Life Insurance the most. Term Assurance is the easiest route to insure either breadwinner of the family against loss of life. It has low monthly premiums and is renewed annually . In the event of a breadwinners demise ,a lump sum will be paid out to the beneficiary(s). Whole of Life insurance This provides similar protection as term assurance but also has an investment element, meaning once you reach a target age ( or early demise ) a stipulated amount of money becomes payable. Due to the investment element, the monthly premiums are higher than that of a term Life Assurance Policy. Critical Illness and Total and Permanent Disability (TPD ) cover can be added as an additional element. Speaking with our advisor will help you to assess how much life cover is essential for your needs and circumstances. Most Life Assurance Policies require a medical examination depending upon your age, and value of life cover. Should you have an Life Insurance Policy in place, have you had your policy reviewed and or updated recently ? □ To speak to an personal advisor for guidance, click here for our contact us page. Tigon Consultancy Asia Co Ltd, Glas Haus Building, Level P (Penthouse), Unit P01, 1 Soi Sukhumvit 25, Sukhmuvit Road, North Klong Toey, Wattana, Bangkok 10110, Thailand.